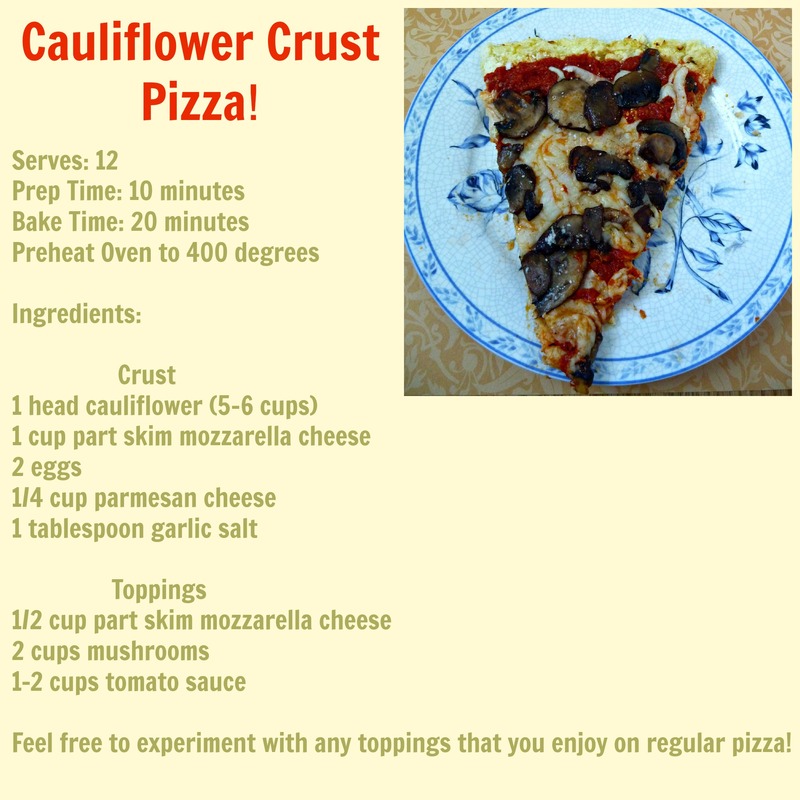 Everyone loves pizza, and most people knows pizza is not usually the healthiest meal option out there. 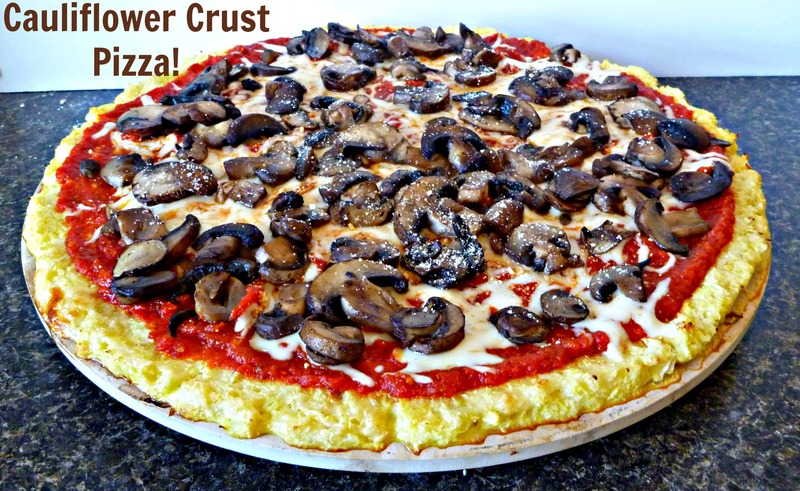 This might be the healthiest version out there! 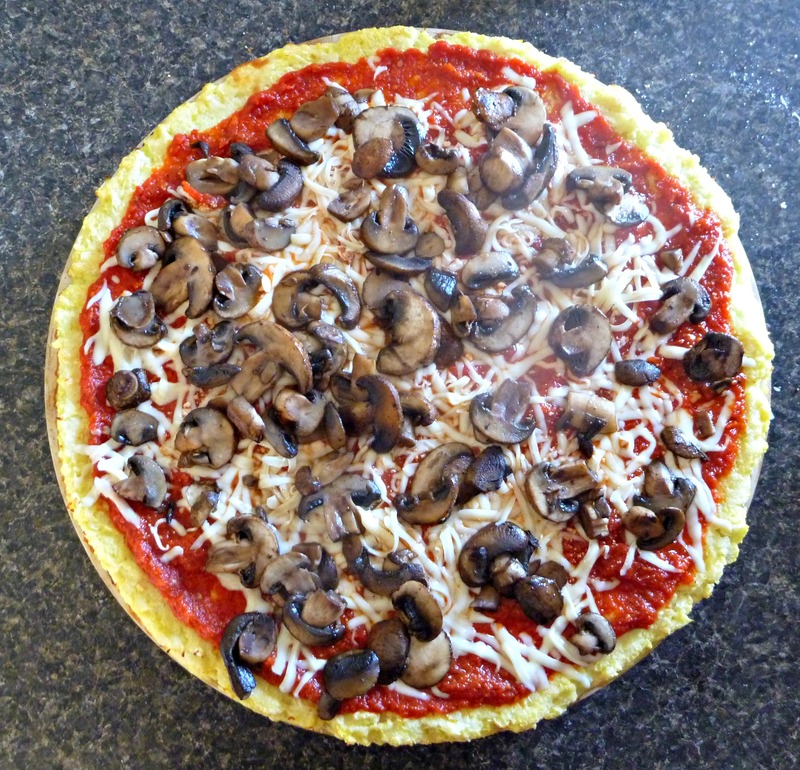 The cauliflower crust pizza craze has been all over the internet and pinterest. Some of the recipes I have discovered seem a little too time consuming, or down right difficult. 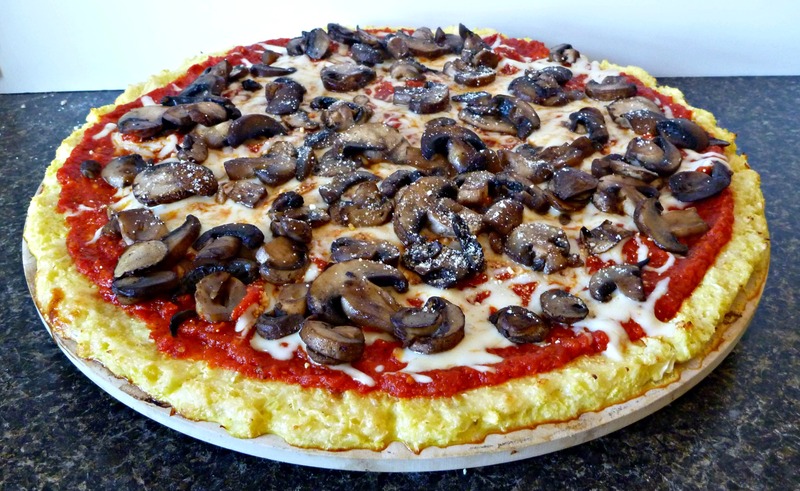 This is the most simplified, yet delicious cauliflower crust pizza recipe out there! 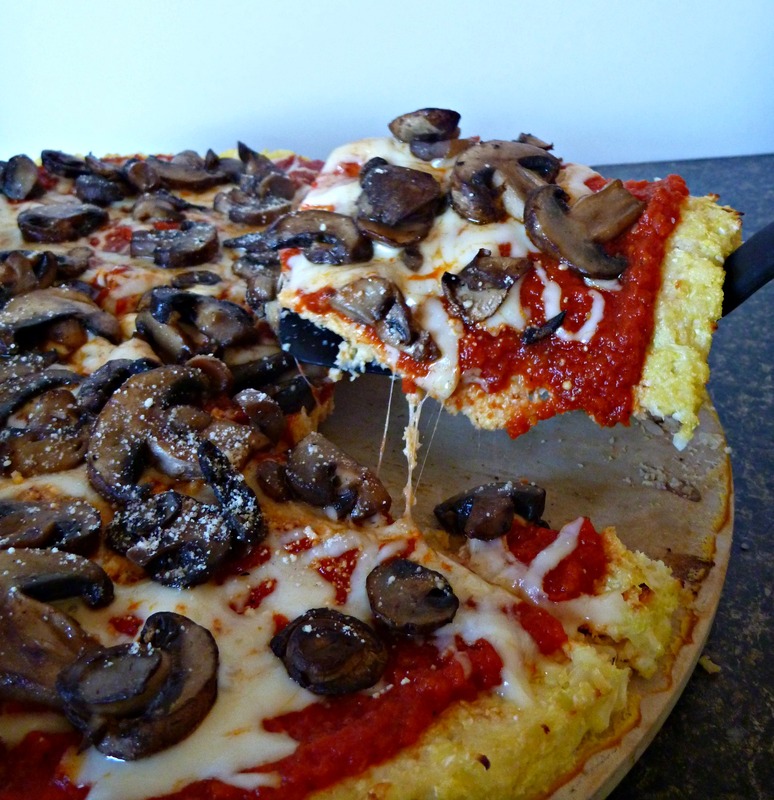 And it is gluten-free, vegetarian, and much healthier than most other pizza-y options. 2. Place cauliflower into microwave safe bowl and microwave for 5 minutes, no need to add extra water! 3. While the cauliflower is cooking I quickly cook up the mushrooms in a stir fry pan on medium heat until they are darker brown and soft. 4. 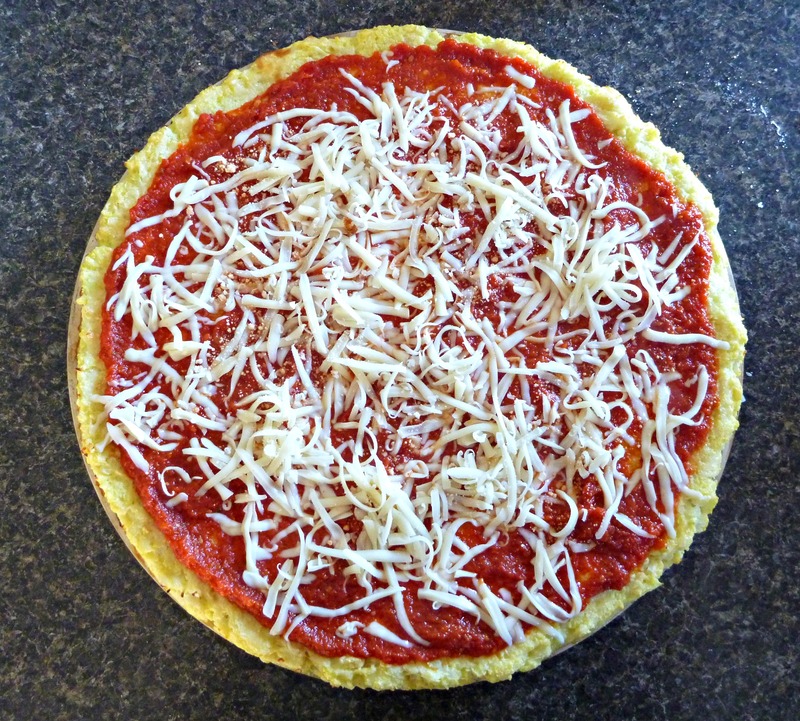 Add eggs, 1 cup mozzarella cheese, parmesan cheese, and garlic salt and stir mixture together. 6. Bake in oven for 15 minutes, or until slightly golden, and it will have an elastic-like feel to it. 7. Add sauce, extra cheese, and chosen toppings, put back in the hot oven just until the cheese melts.